“To reject a challenge to do battle would not sit well with a son of the Apostle Santiago” Reply of the Abbott-Commodore Ulloa to the Yu Jing Admiralty at the naval battle of Trojan Point T1 (Edge of Humanity, NeoColonial Wars) who demanded the surrender of his forces. The trading routes taken by the Circulars are also used by many PanOceanian citizens on their pilgrimages to the sacred places of the Earth and Neoterra. The Order of Santiago, with the blessing of PanOceania and O-12, has taken on the task of providing assistance and protection to the pilgrims and Circulars using these routes. 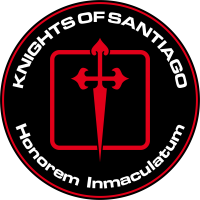 The Knights of Santiago are part of the officer corps of the PanOceanian Navy and are normally assigned to frontline ships. 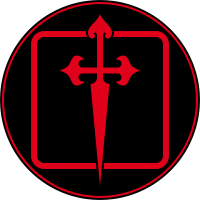 The members of the Order are amongst the best prepared and most specialized in the Human Sphere. The operational objectives of their boarding units is to assault and secure hostile vessels, both in deep space and planetary orbit, meaning they are always first in the line of fire. 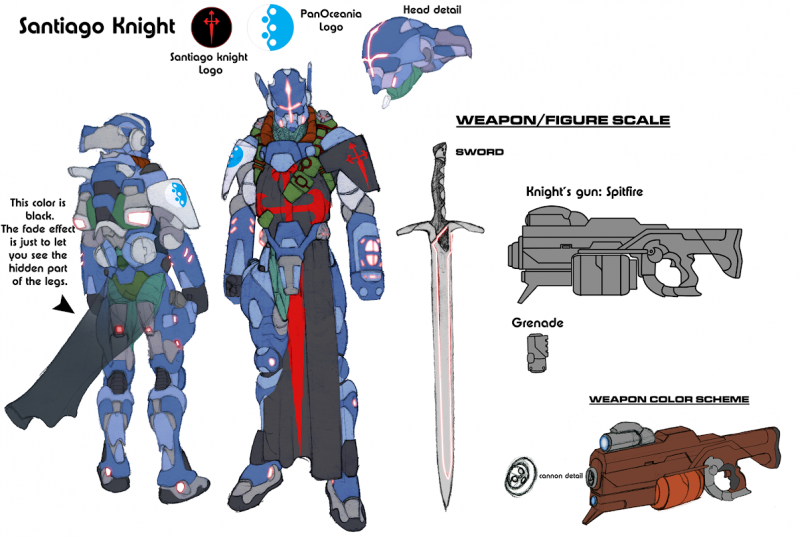 The Knights of Santiago have to break through enemy defences by locking on to assault vectors that take advantage of the briefest openings in an enemy ship’s defences. Knocked around in the acceleration chambers of their boarding capsules, they have to fight against the overwhelming fatigue caused by hours of high-speed maneuvering. Once the enemy vessel’s hull has been breached, they have to fight from compartment to compartment, from locker to locker, until each section is cleared. While near-suicidal, this is considered the fastest and most effective way of naval boarding and is favored by the Order. The Knights know that their patron, the Apostle Santiago, favors and rewards the most hazardous ventures, and these dangerous actions see faith accompanied by indomitable courage. This page was last modified on 2 December 2018, at 04:51.